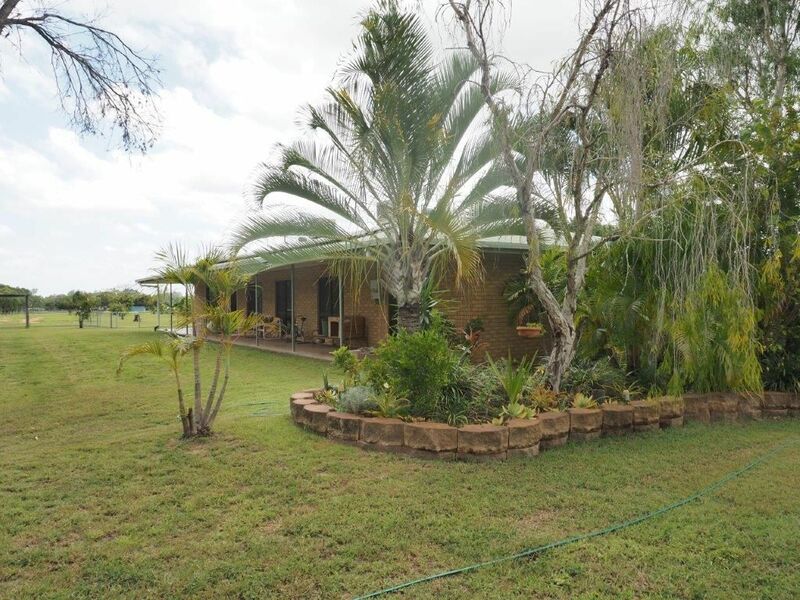 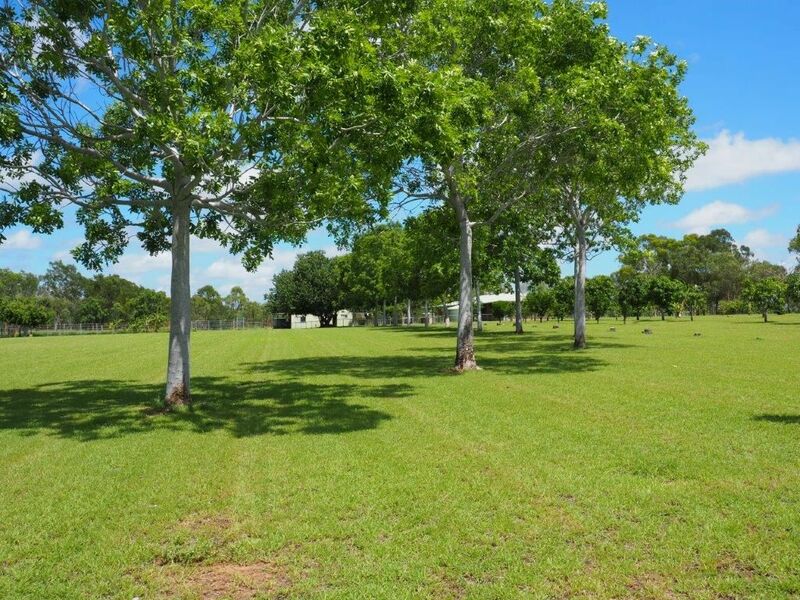 Casabella, Charters Towers - Slaney & Co.
Casabella homestead is beautifully presented and appeals to those looking for country living. 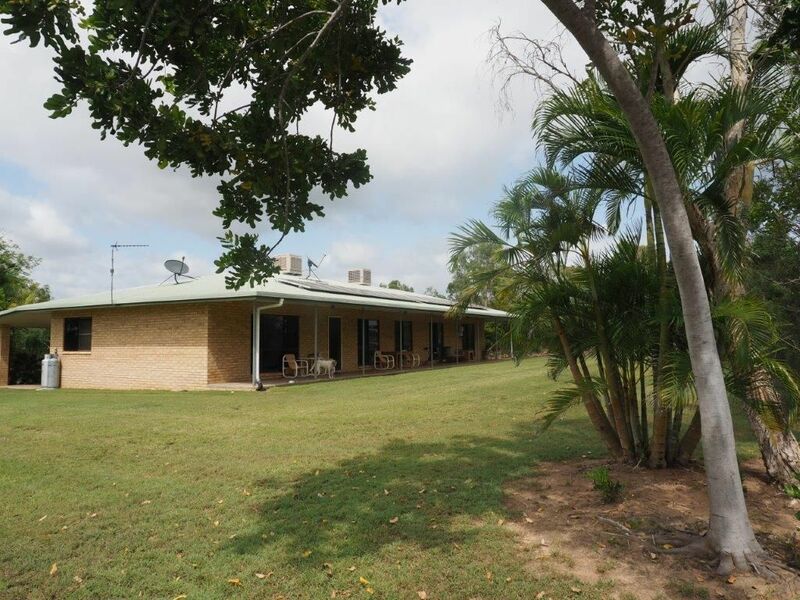 The home is located in a neat simple garden of lawn, shrubs and trees and is located in an elevated position on the northern boundary of the property adjacent Bluff Road. 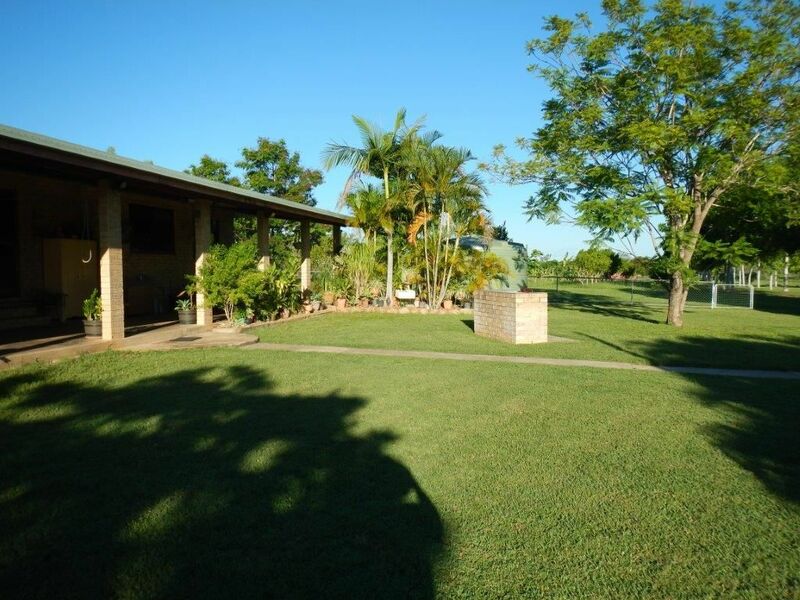 Rarely will you see a property so meticulously maintained as Casabella. 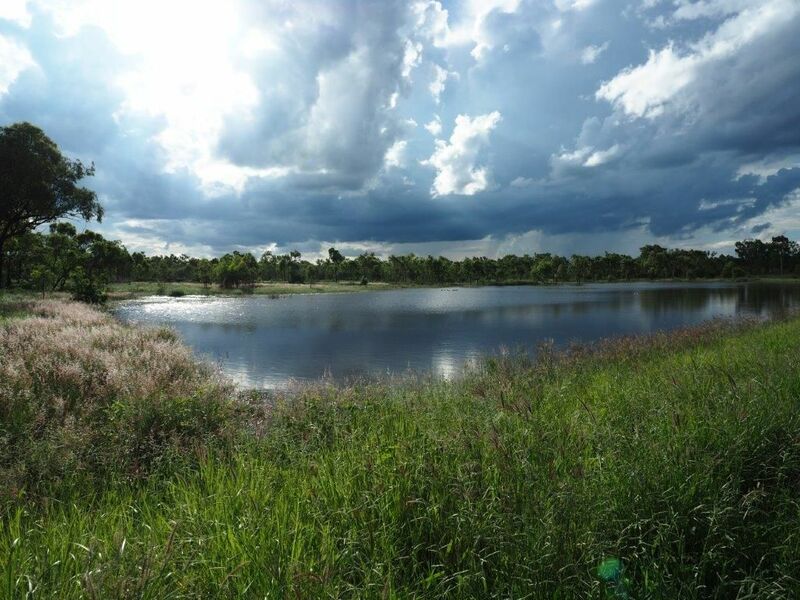 Location: The property is located at Bus Road and is boundaried by Bus, Dimond and James Roads. 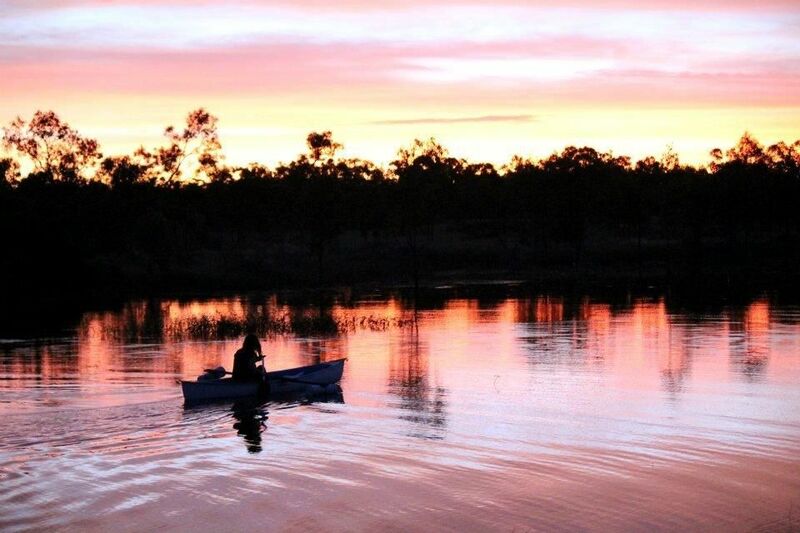 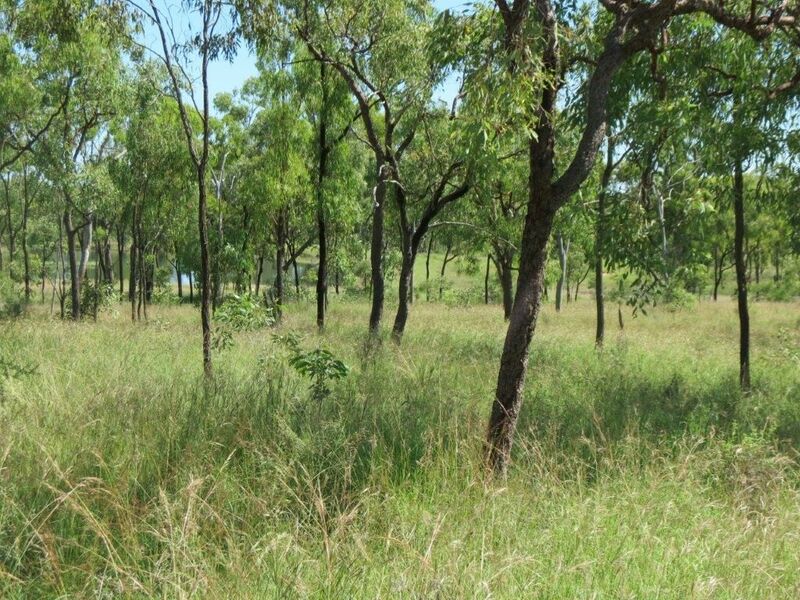 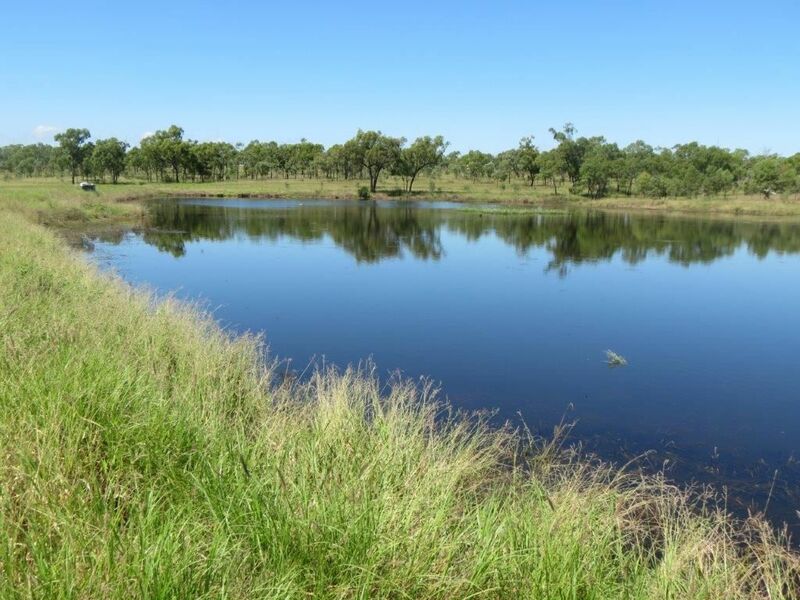 Casabella is only 14km from Charters Towers PO, has immediate bitumen road access and easily accesses all the services of a regional town, population approx 9000 people. 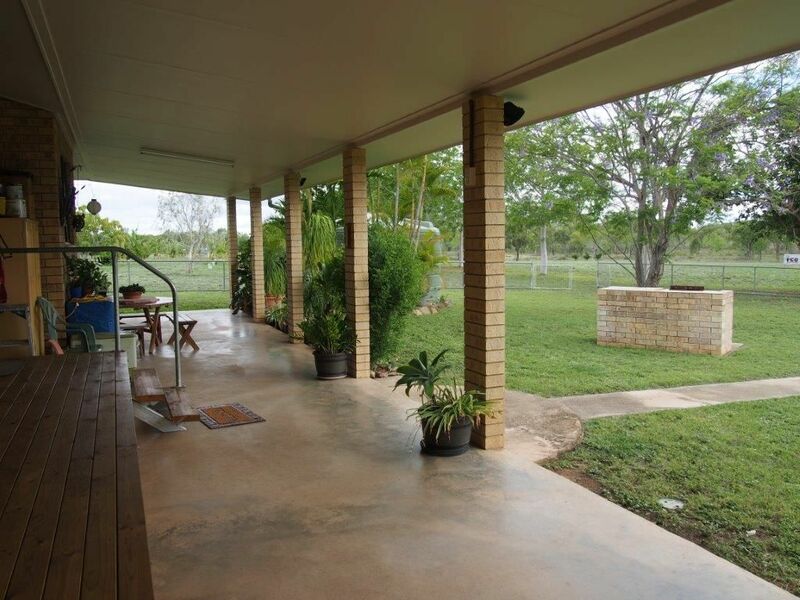 Schooling, both primary and secondary, are a feature of the Charters Towers community with the town boasting three Private Schools, the State High School and three State Primary Schools. 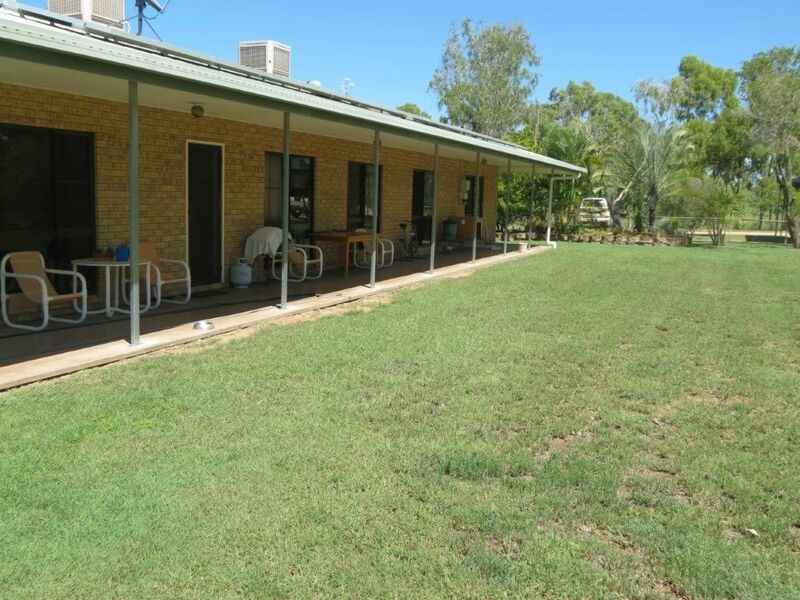 A school bus services the property. 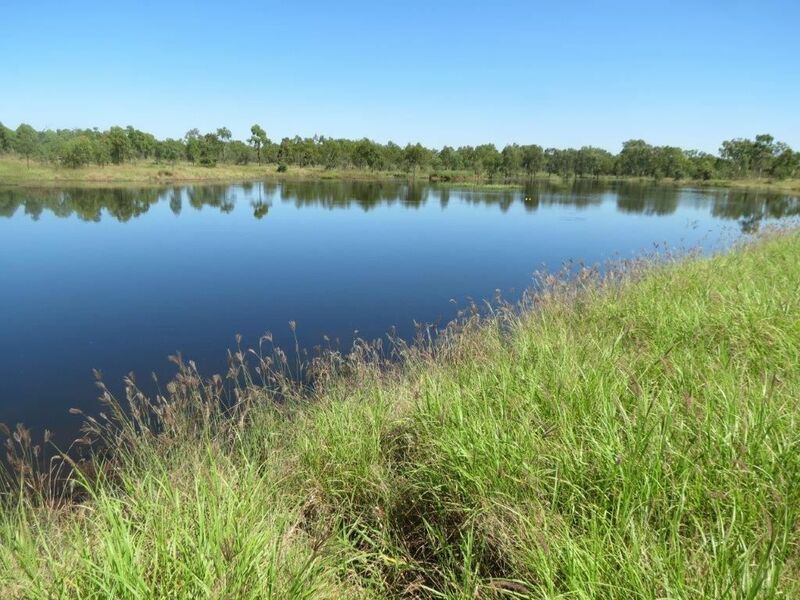 Country: The property has an undulating topography rising to both the southern and northern boundaries and is bisected in the middle by Roberts Creek. 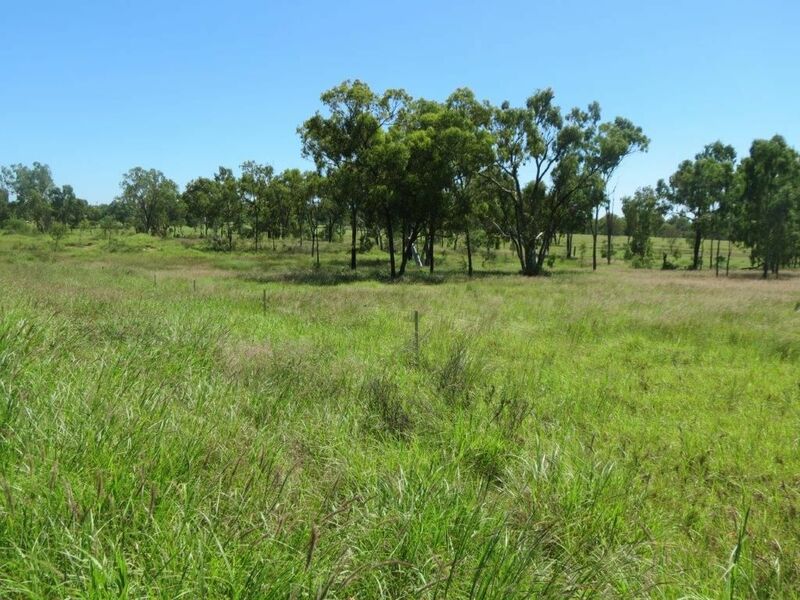 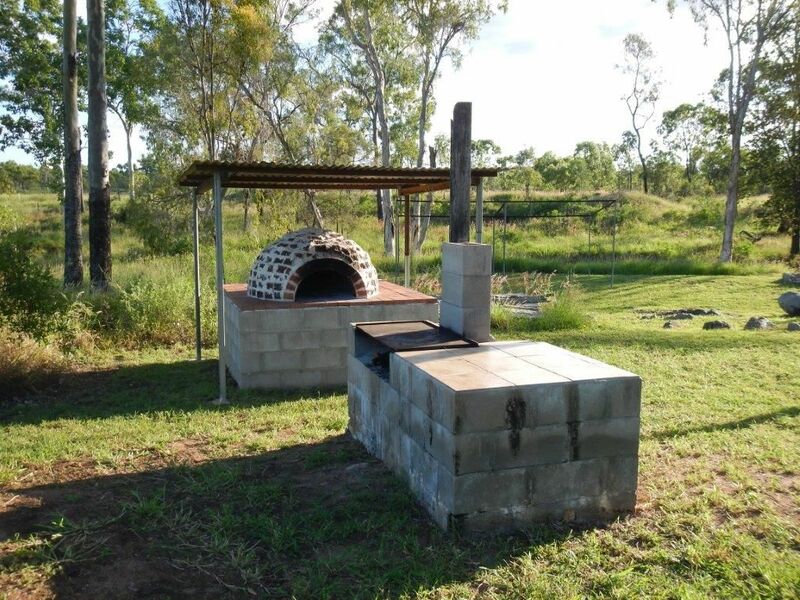 Soils consist of fertile Goldfields red soils, some gravelly soils lightly timbered with Ironbark, Bloodwood and Box and alluvial creek frontage timbered with large Paperbark and Poplar Gum. 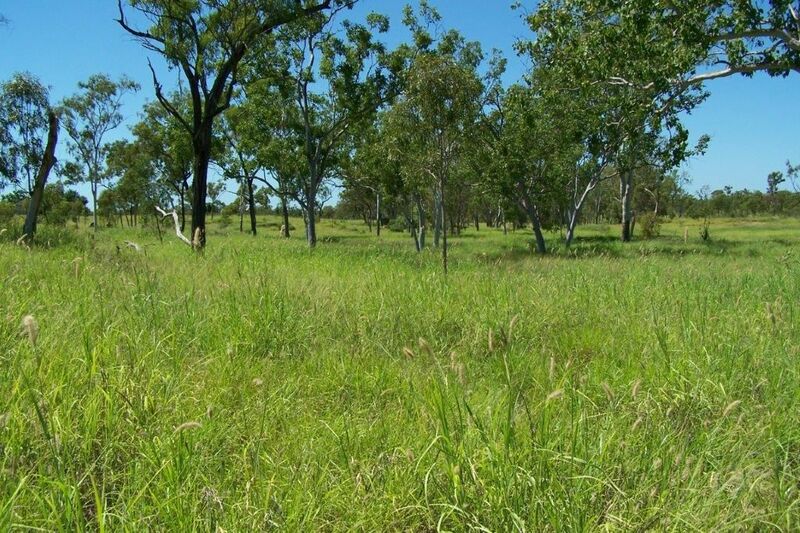 The pastures consist mainly of a healthy stand of Buffel and Seca Stylo, complemented by Urochloa, Indian Couch and various native grasses. 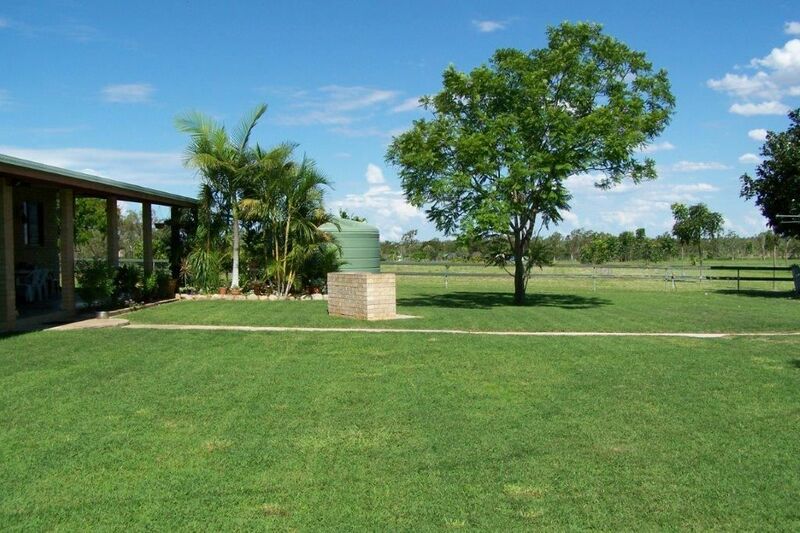 Casabella has enjoyed conservative and thoughtful grazing levels since recent ownership in 2001. 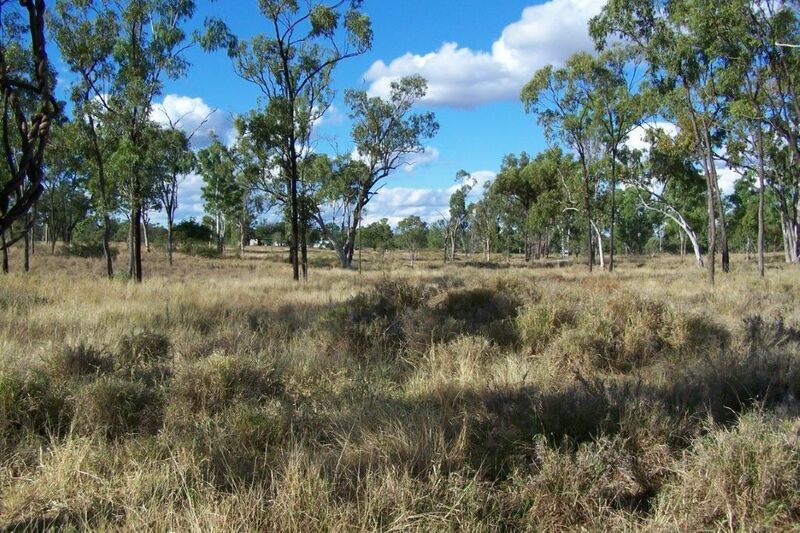 The emphasis has been to regenerate scalded areas and maintain a rest-and-rotate grazing plan throughout. 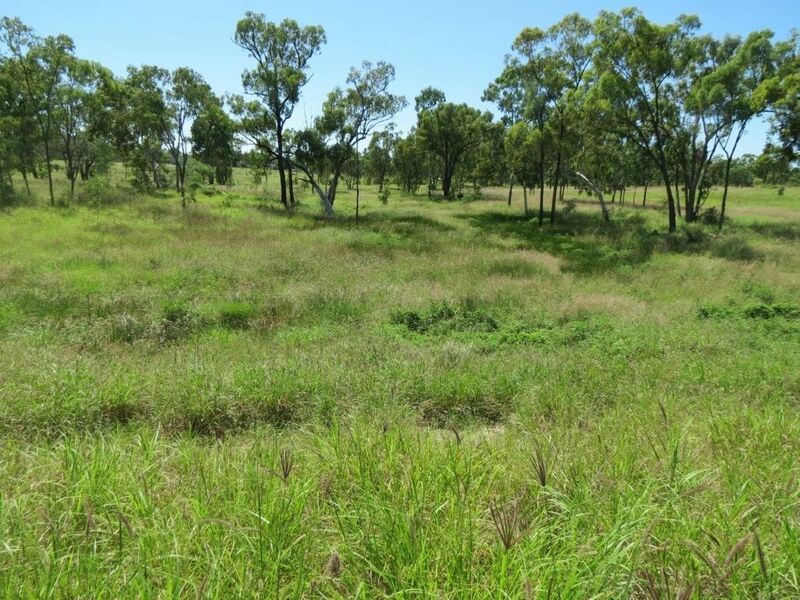 The owners have also spent considerable time and money on a woody weedy control plan thus Casabella is almost weed-free. 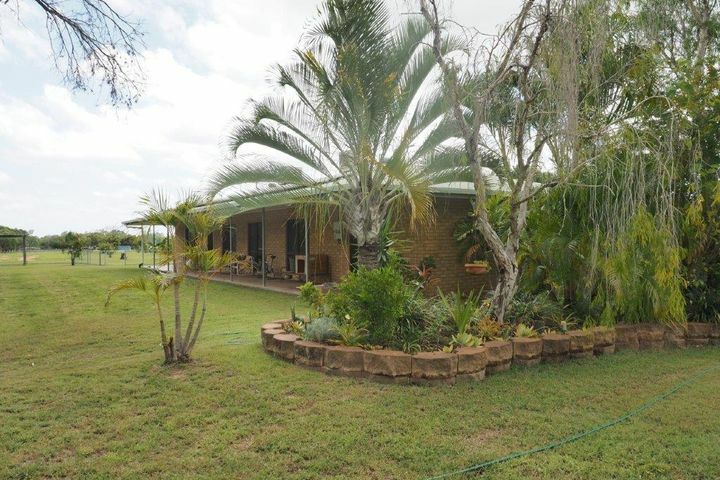 The homestead is set on a nicely elevated aspect with veranda on 2 sides, evaporative air-conditioning, 4 bedrooms one of which is currently used as a second study, Ensuite & spa to main bedroom, with modern dining, kitchen, 2nd bathroom and laundry. 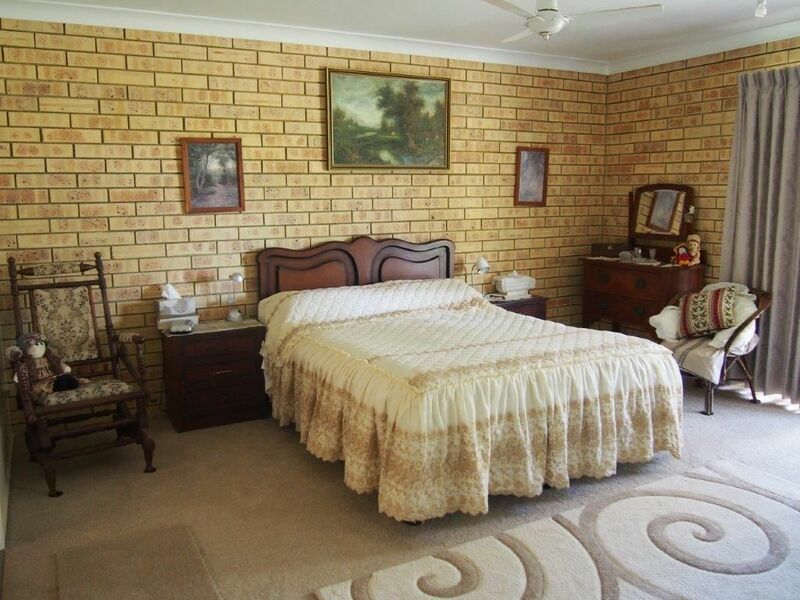 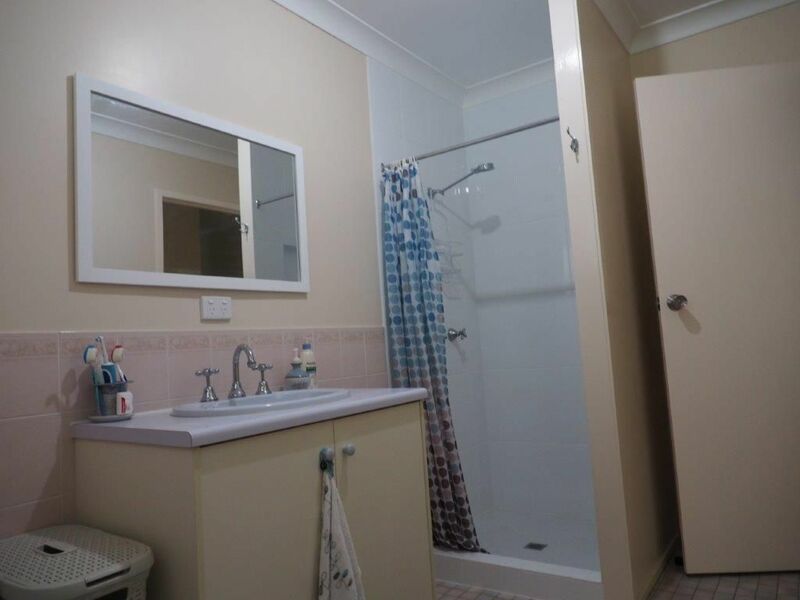 All bedrooms are large and carpeted with the kitchen, dining, hallway, bathrooms and laundry all being tiled floors. 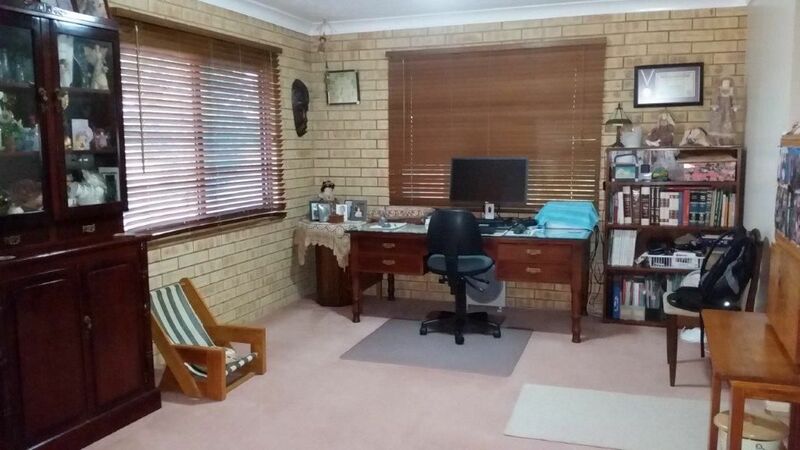 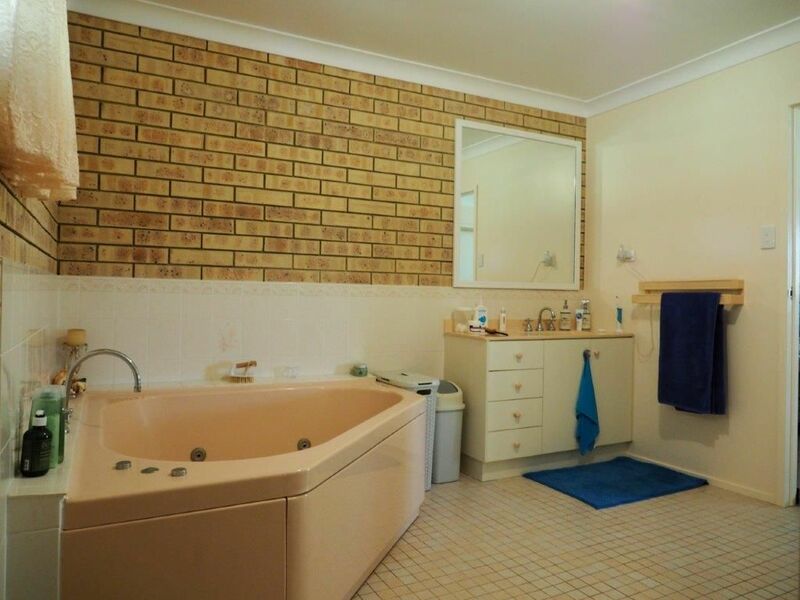 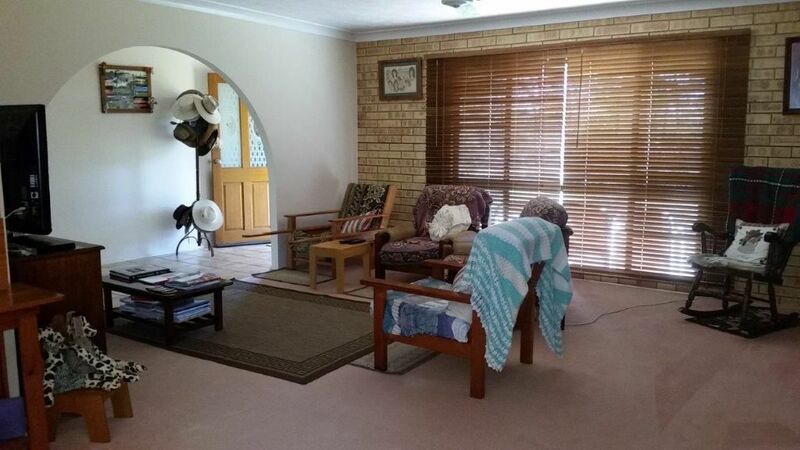 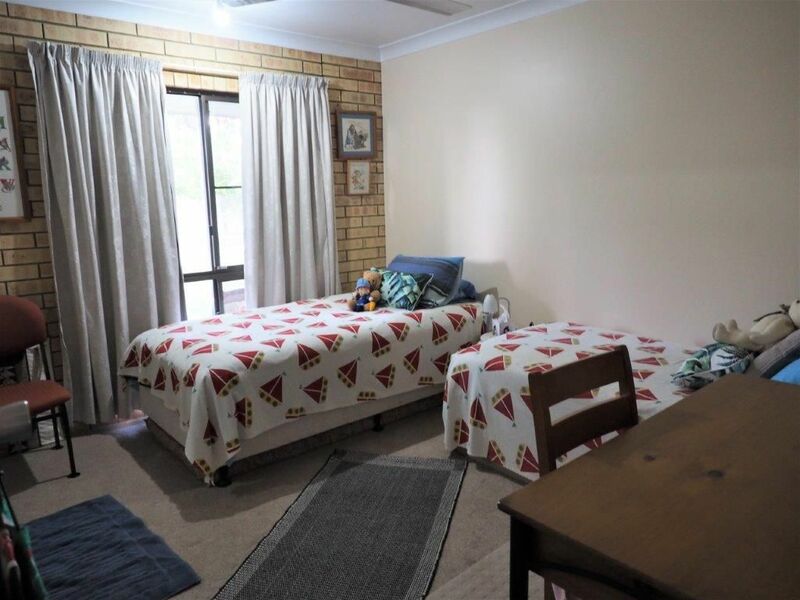 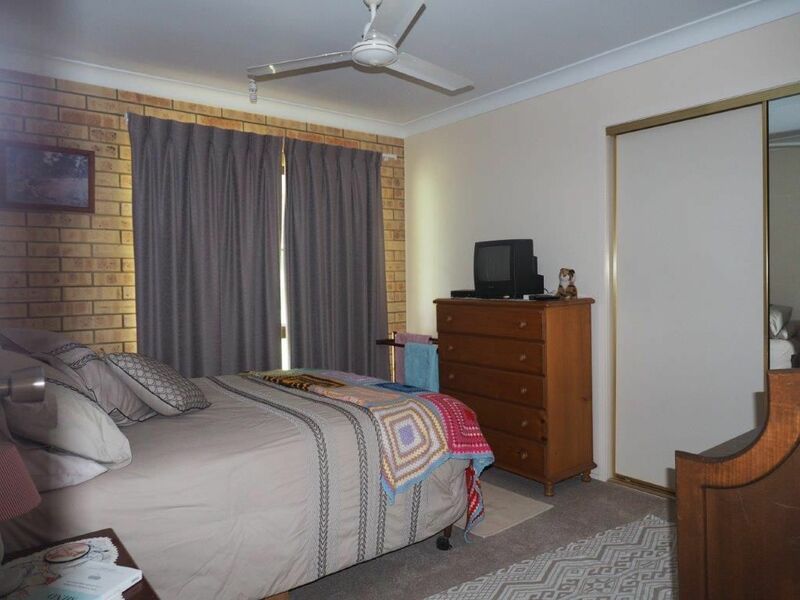 The home is approximately 185sqm in size plus a 3.5m southern veranda and 2m northern verandah, has ceiling fans throughout and is constructed of brick with a combination of exposed brick and gyprock internal walls. 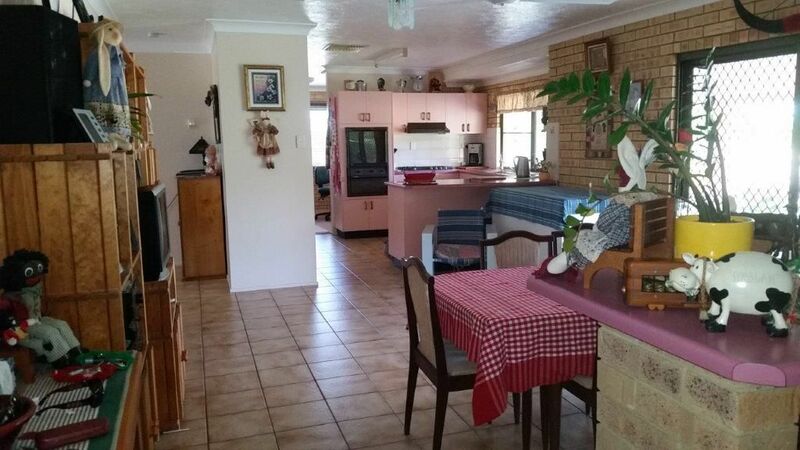 The house has been freshly painted internally using neutral colours. 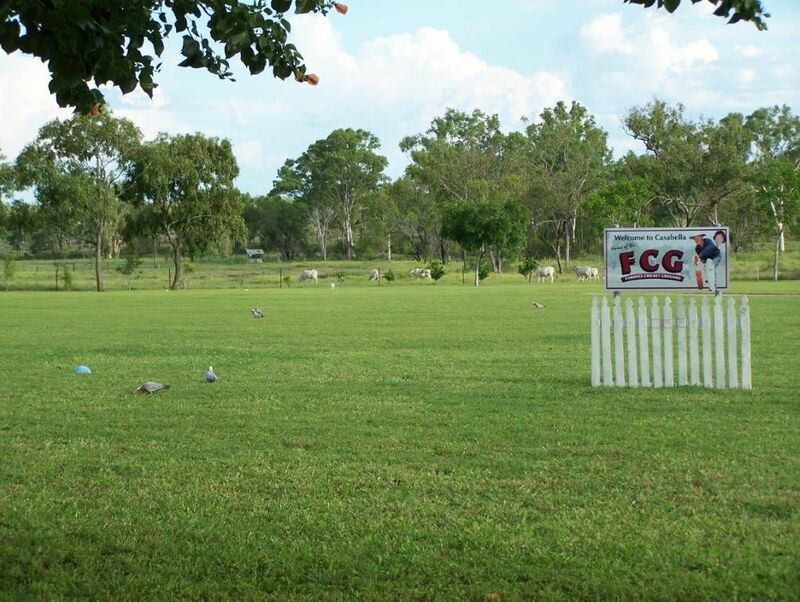 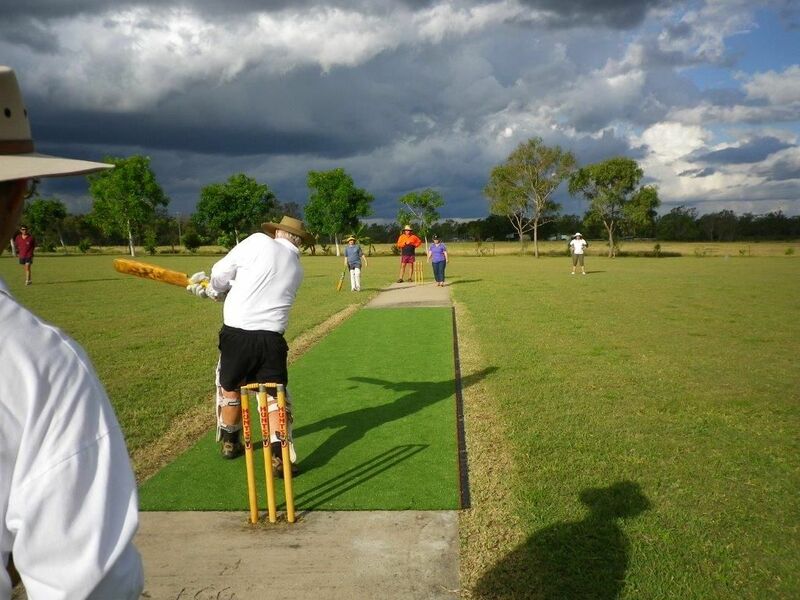 The Homestead has a ‘front row seat’ looking south over the private cricket oval. 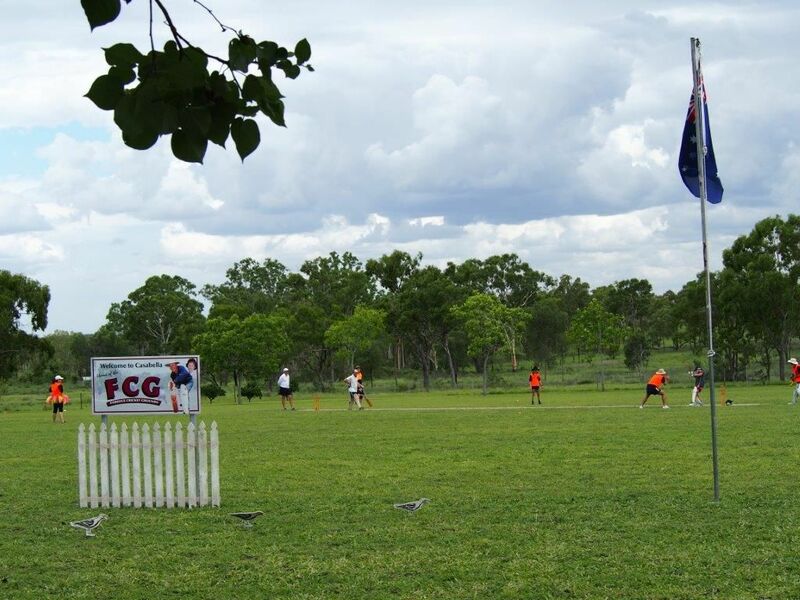 In the background, behind the oval is Roberts Creek, the camping area equipped with Pizza Oven, shed and ablution block used to accommodate the FCG home team during the famous Australia Day weekend Goldfield Ashes cricket carnival and for annual family gatherings. 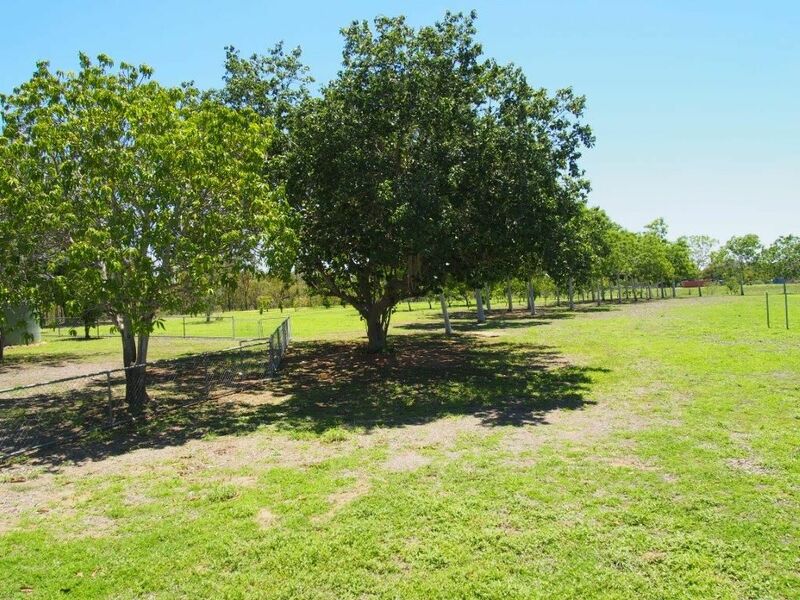 A small Orchard with Mango, Citrus, Banana, Coffee and Guava trees is located adjacent the house and is watered via drip-irrigation. 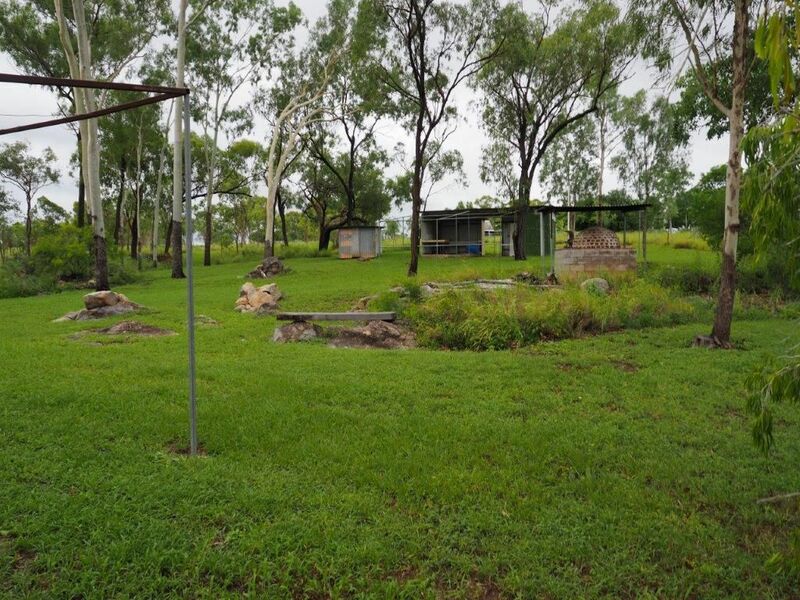 Infrastructure: Well-maintained infrastructure is a feature of Casabella. 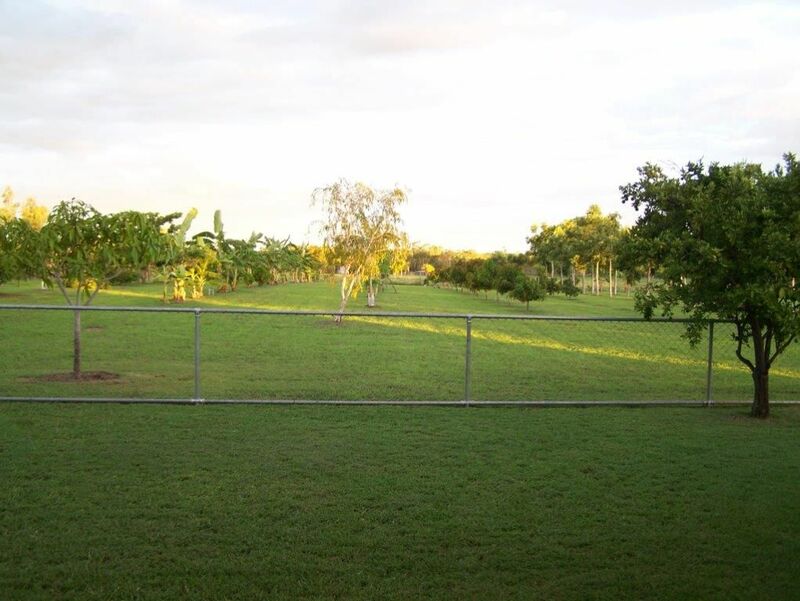 Every acre and every structure and fence has been maintained such that there is very little, if any, expense left unattended. 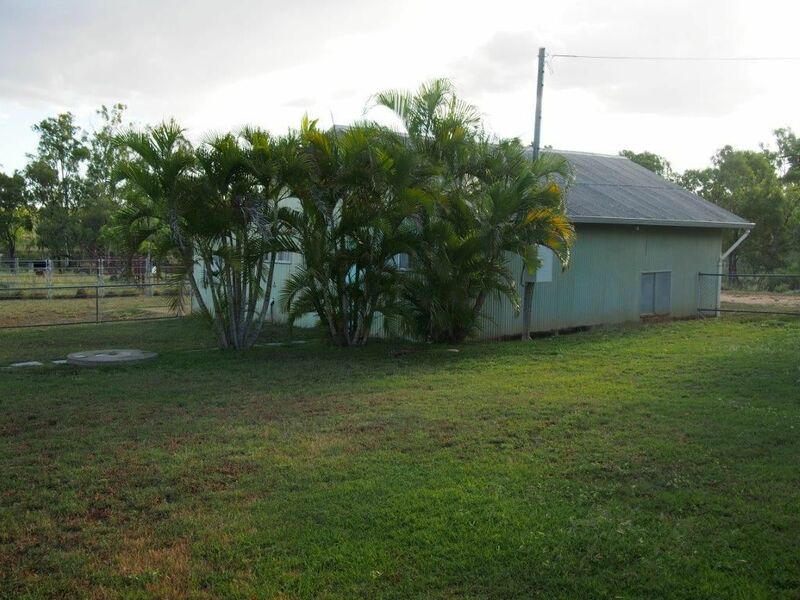 The nearby shed provides for general storage and a workshop for property tools, motorbike and assorted materials. 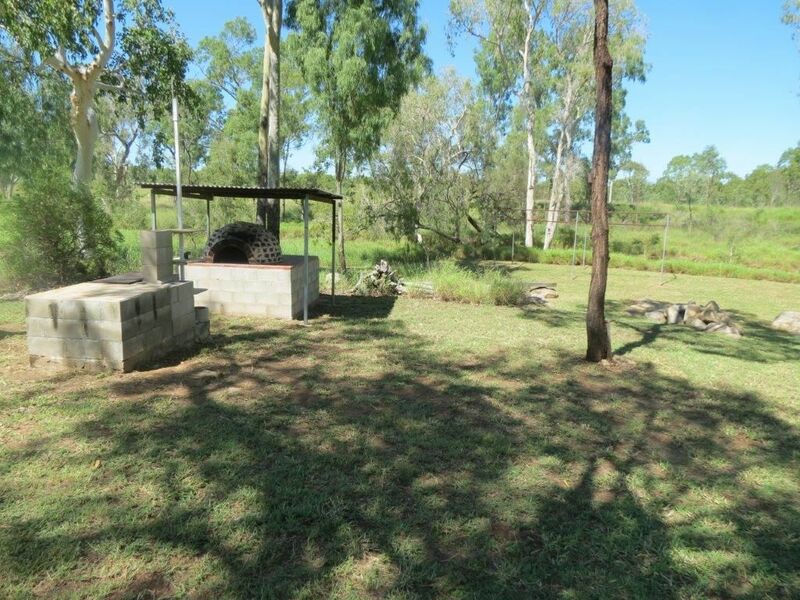 The shed is old, has timber & shed frame with fibro roof and cement floor…. 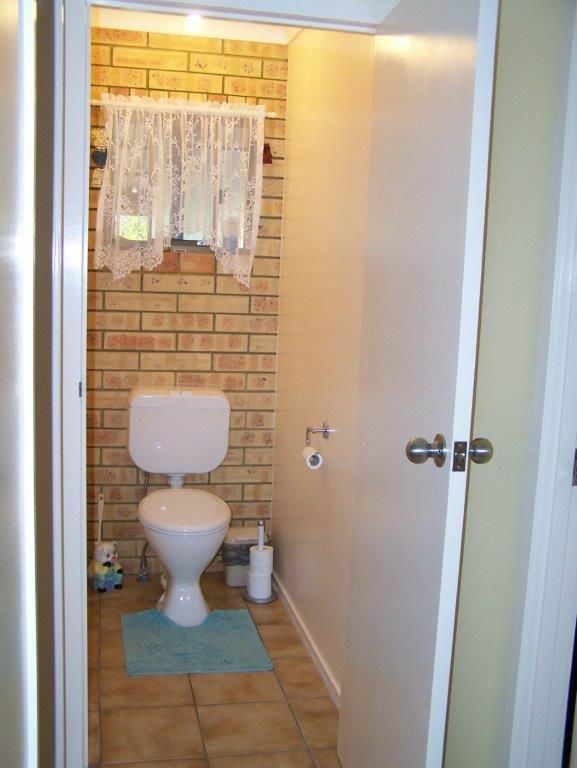 All very well maintained. 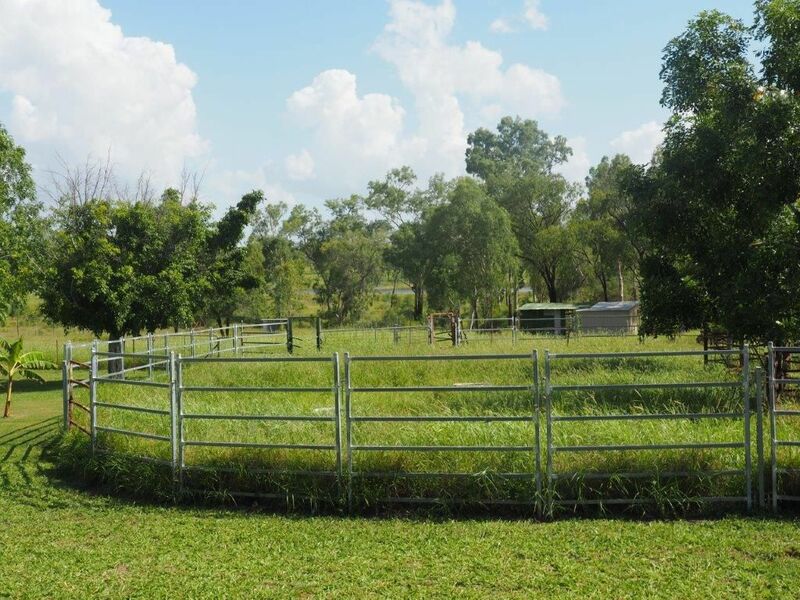 The steel cattle yards and fencing ensure the new owners will have little required expense for the foreseeable future. 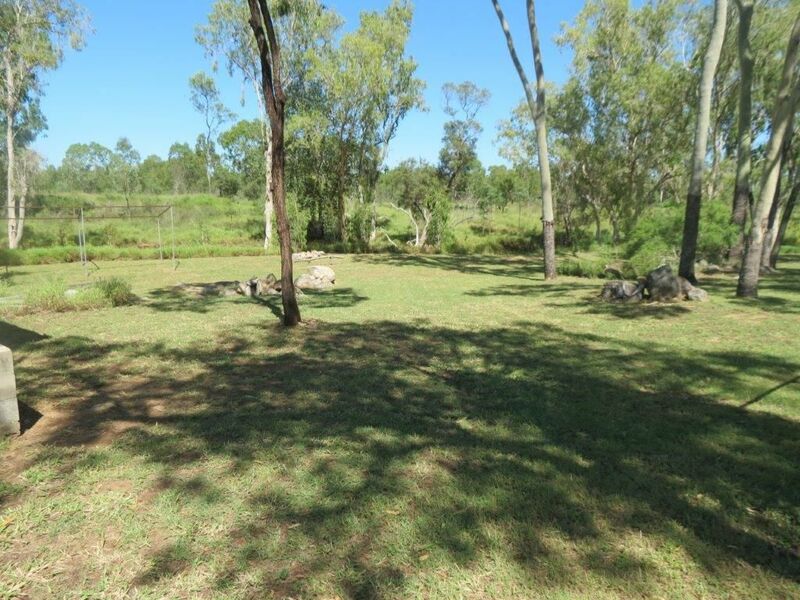 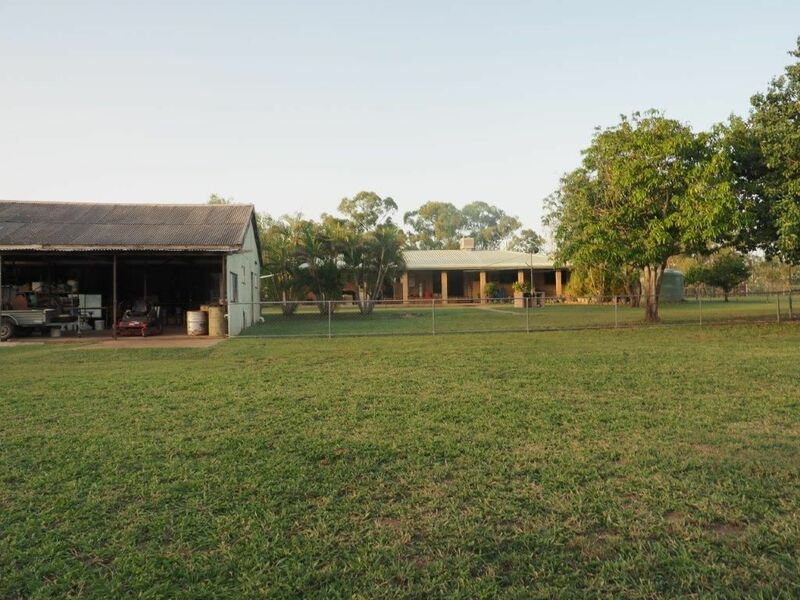 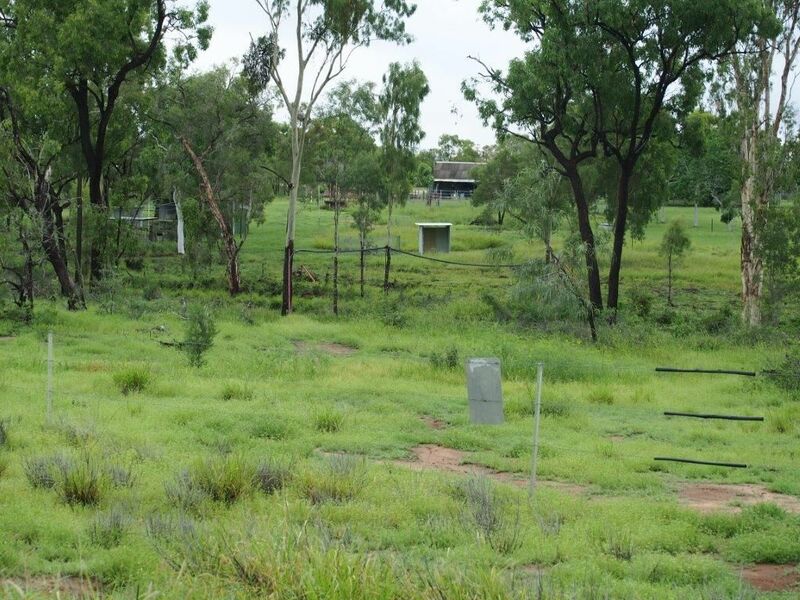 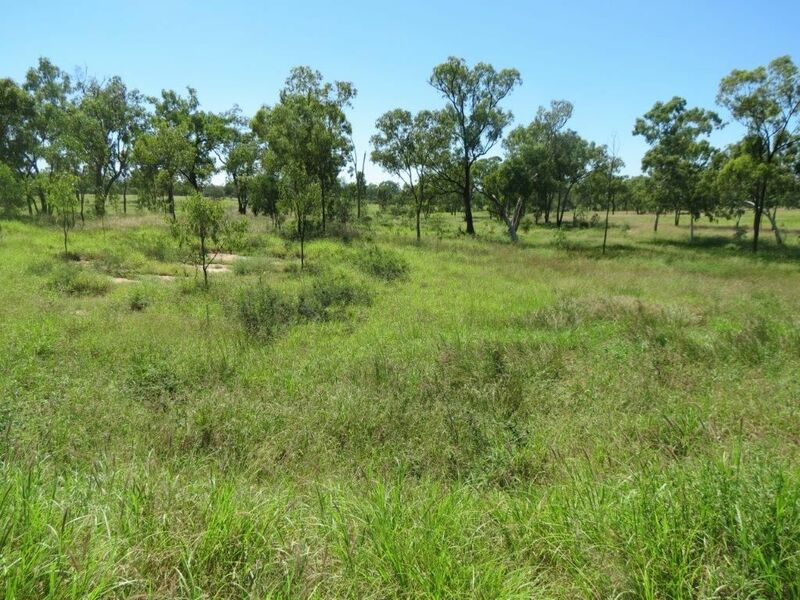 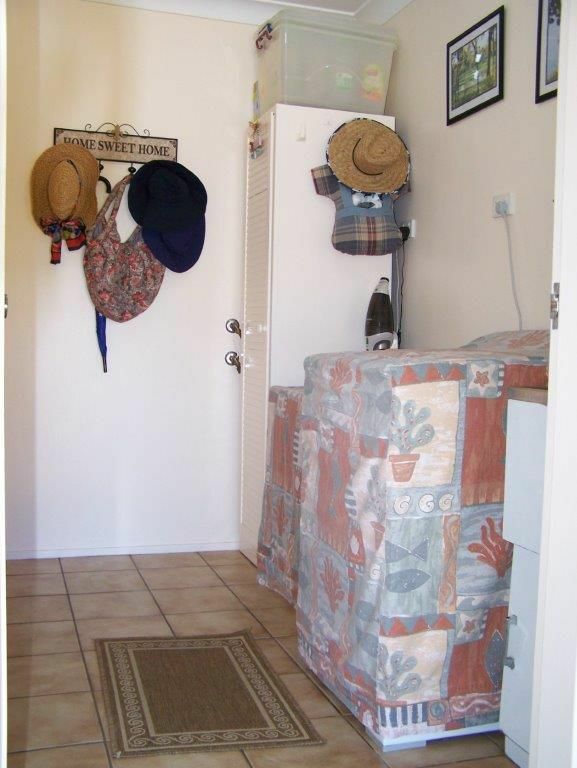 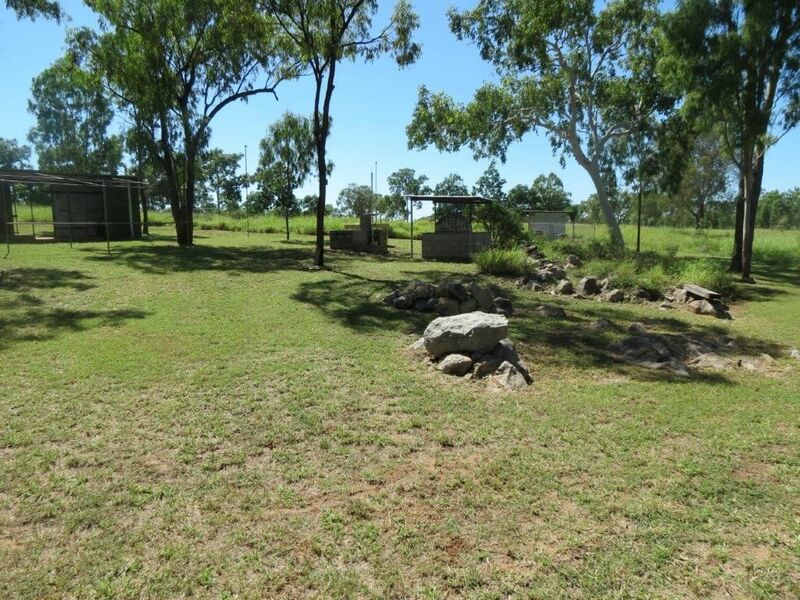 The property is subdivided into 3 paddocks, a dam square and a holding paddock/cooler adjacent the cattle yards. 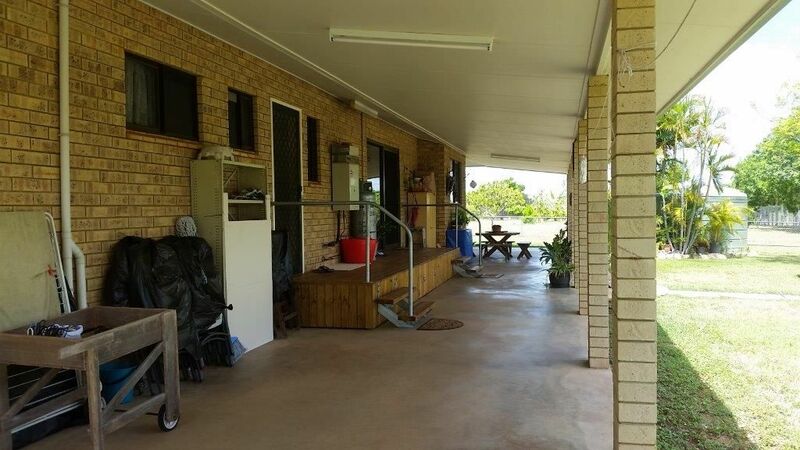 Solar Power: The installation of a 4.2 kW Solar Power system has made a significant difference to the electricity costs to the owners. 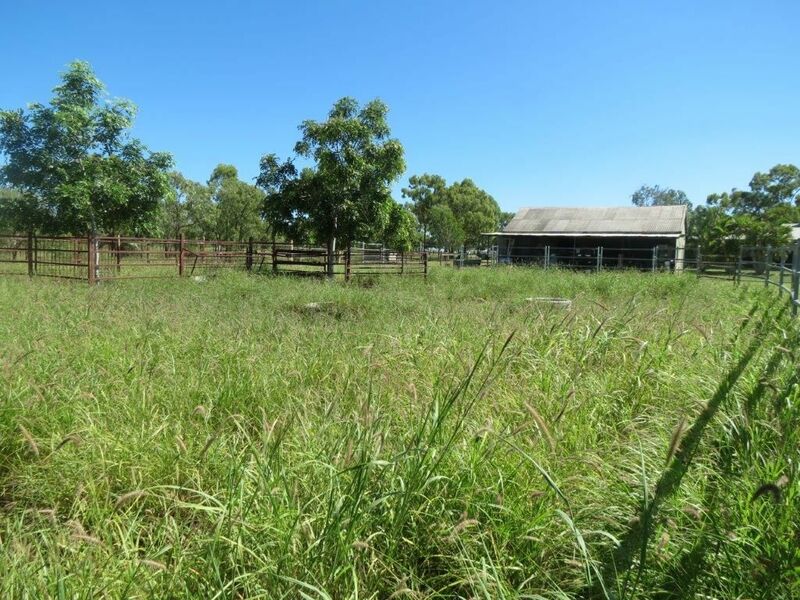 Currently the savings are significant, however purchasers’ research is required to establish what saving might apply to them once the ERGON contract is transferred from the current owners. 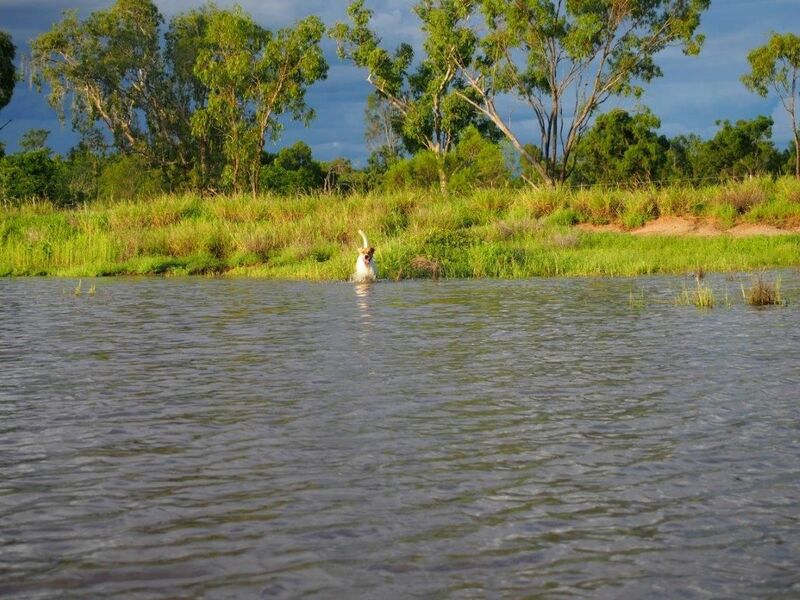 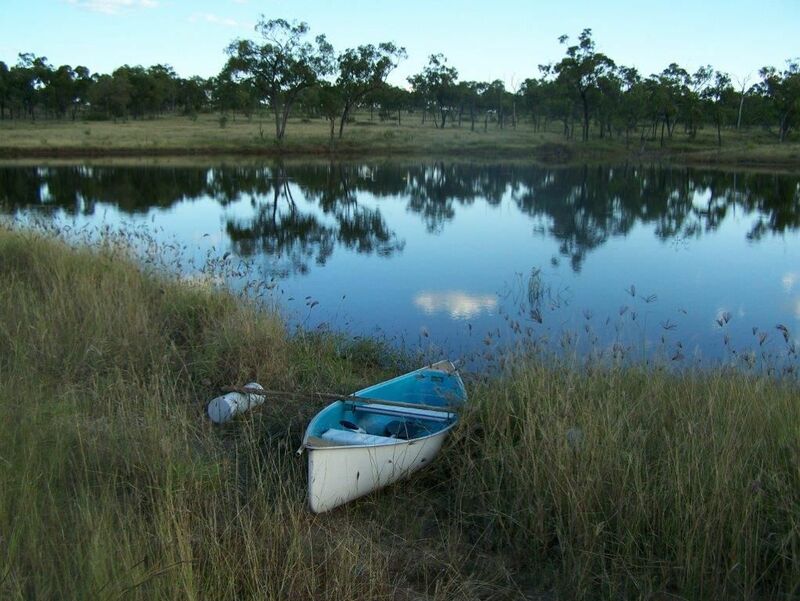 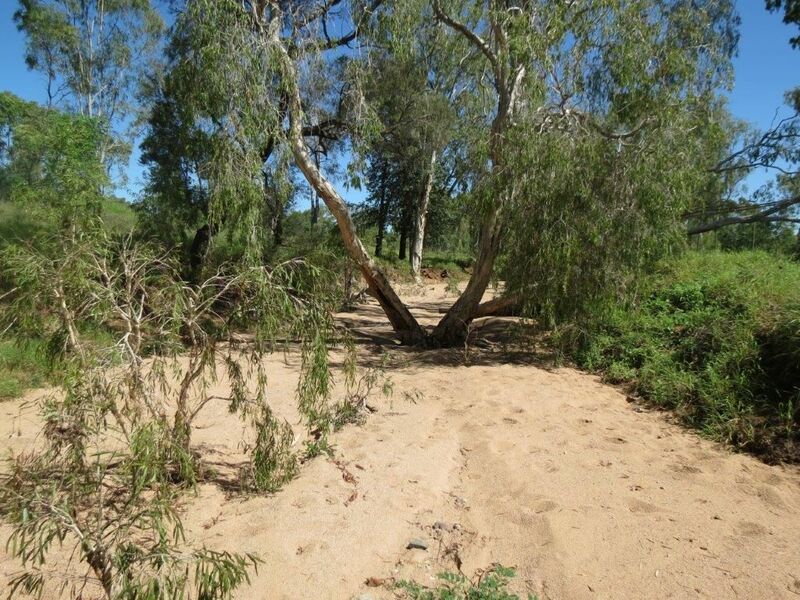 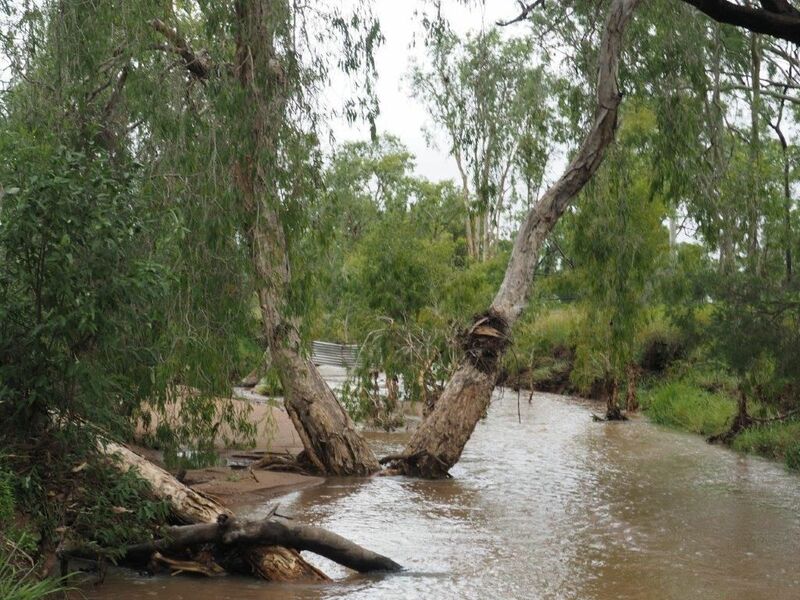 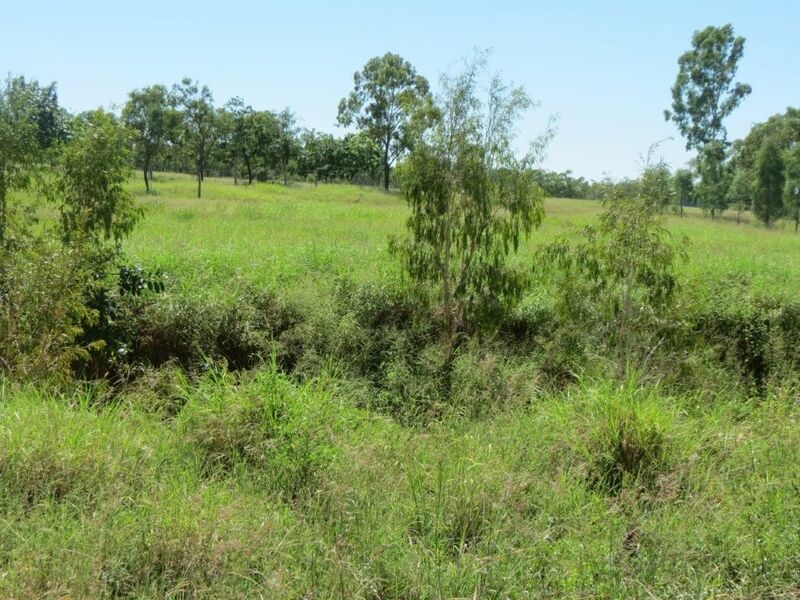 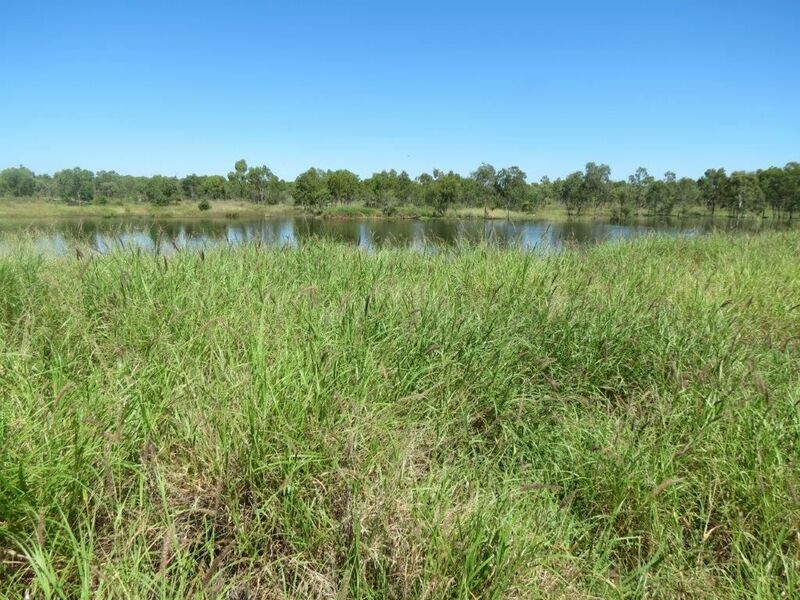 Water: With a very good bore and a 15ML dam covering almost 3ha, the property has ample water and is highly unlikely to have a future water issue. 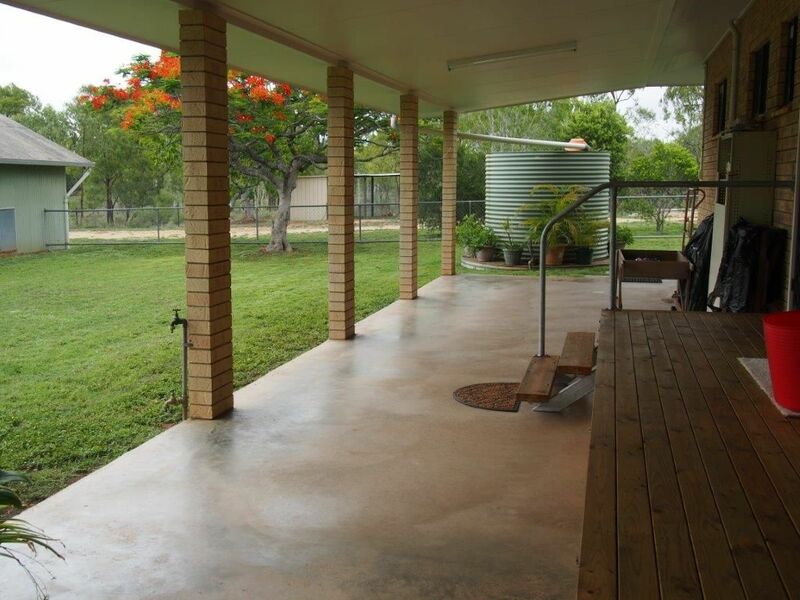 The current situation sees bore water plumbed directly to the house. 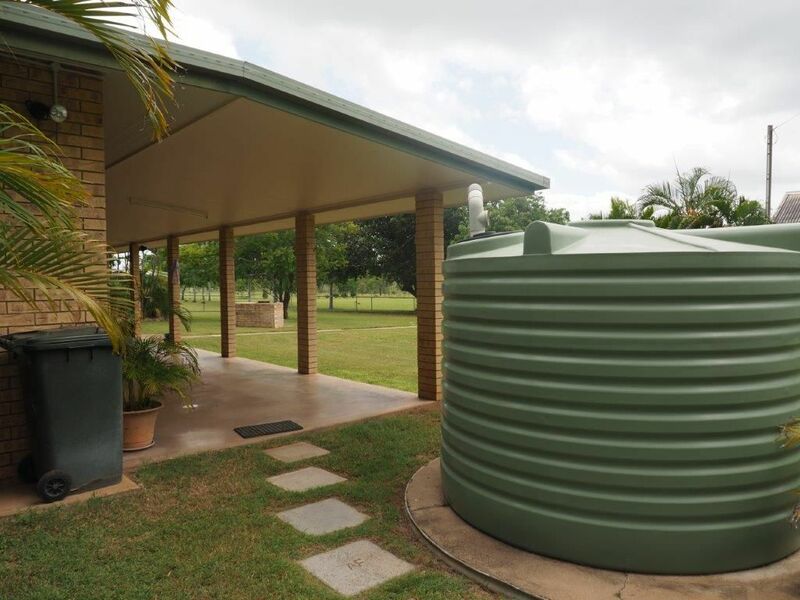 Rainwater is collected into a 5500gal poly tank, whilst the garden and livestock needs are serviced via the dam and bore. 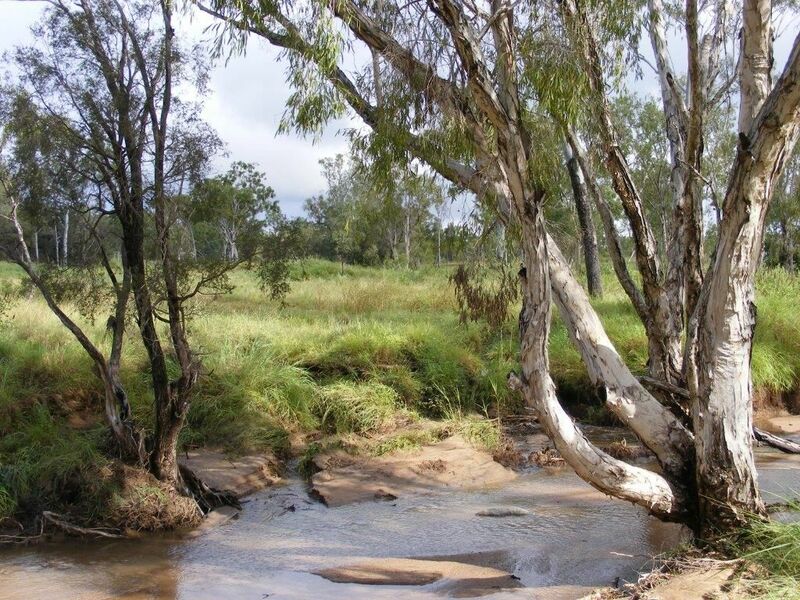 The system is totally interchangeable from one water supply or another. 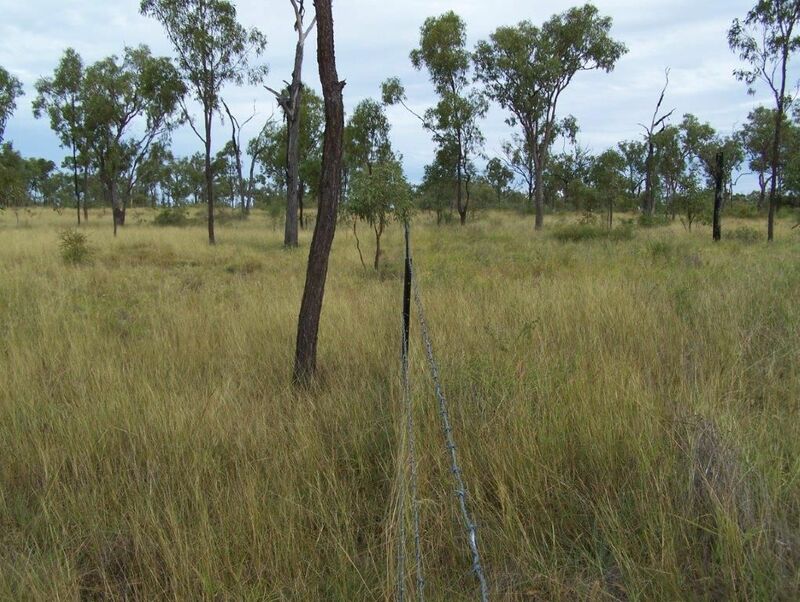 Livestock & carrying capacity: Sustainable carrying capacity should be approximately 5-8 cattle (Adult equivalent ) depending on season. 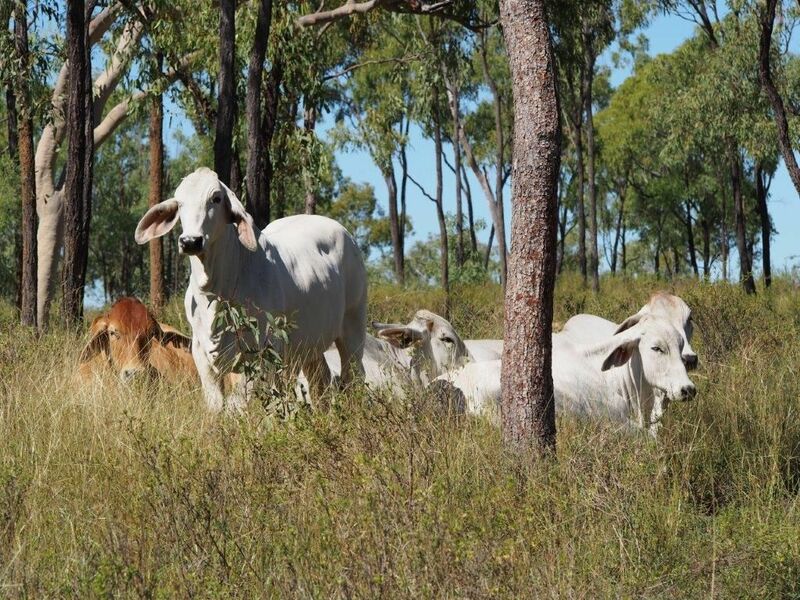 The current owners buy steers and grow them for 18-20mths before selling and replacing after a short spell. 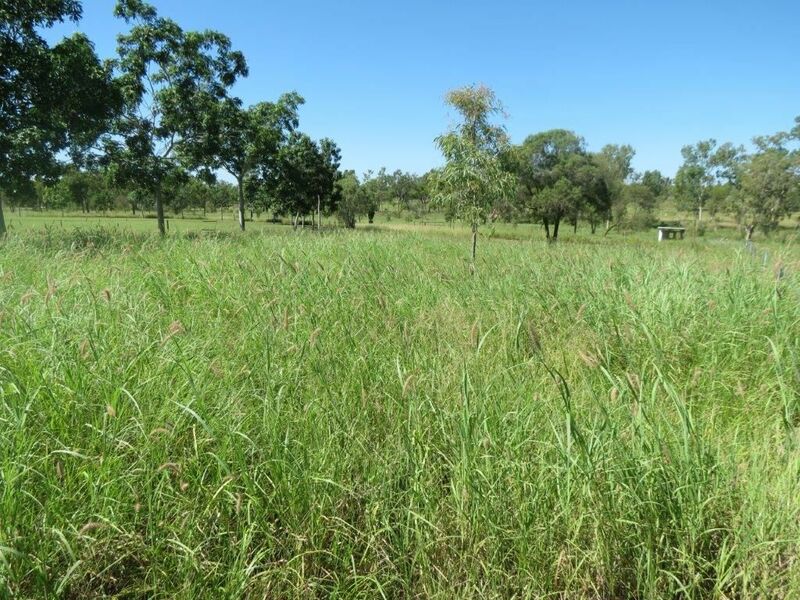 The block is very ‘sweet’ with average annual steer growth at 200kg and liveweight production at 45kg/ha when stocked correctly. 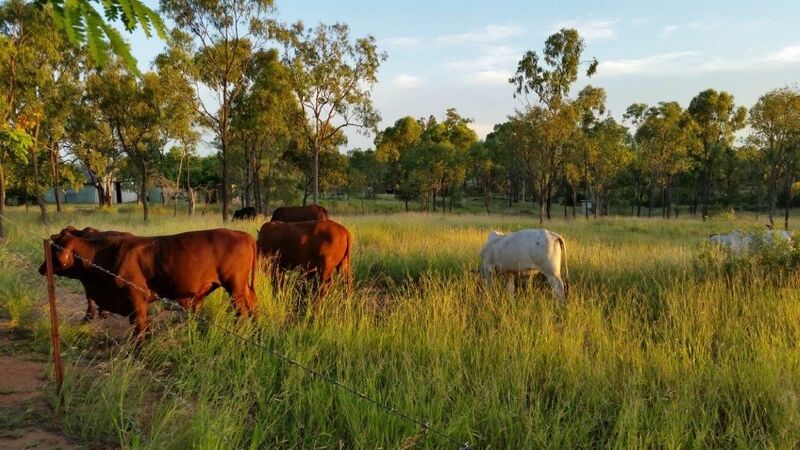 Livestock , Lifestyle and the Natural Environment: There is little doubt that those who choose the non-urban environment as a place to live do so with the lifestyle and natural environment in mind. 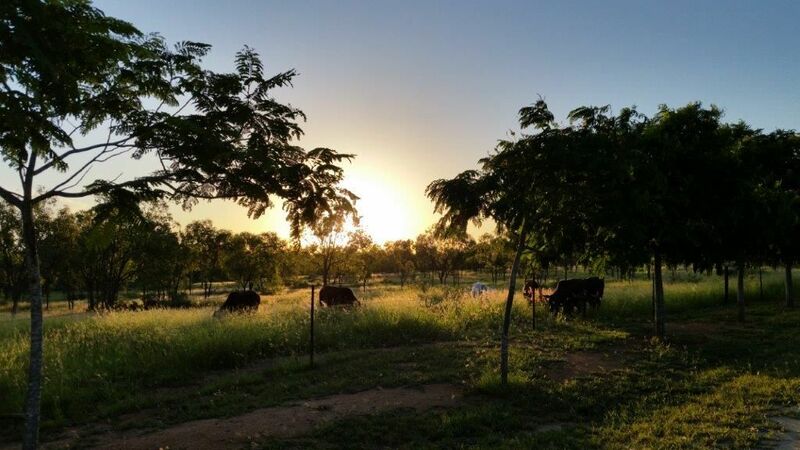 The Casabella landscape has been well respected over the past decade, or so and now yields both economic (cattle) and wildlife benefits to the owners. 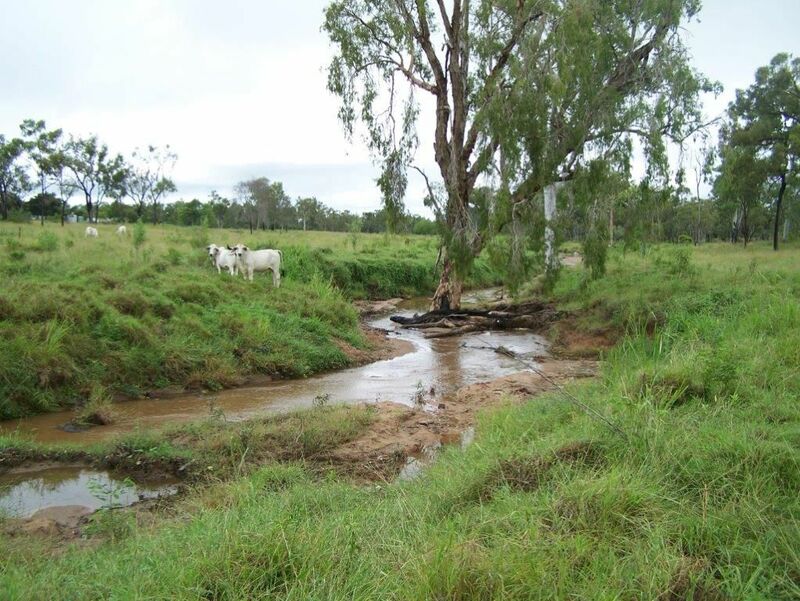 Healthy flowering shrubs and trees, surface water from the dam and creek and healthy pastures is the environment a buyer will inherit.